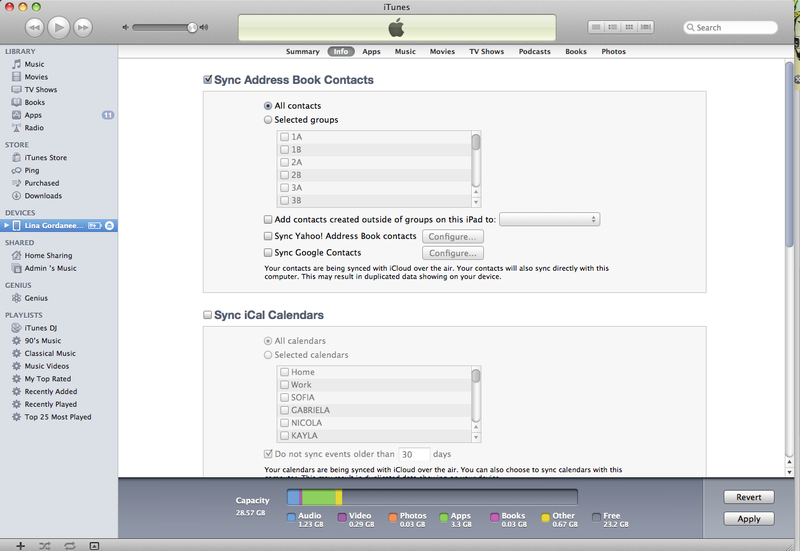 How to sync your contacts, iCal, etc. You just have to know where to look. If you are using your mac’s address book, you can sync it easily through itunes. 1. Plug your ipad into your computer and open itunes. 2. Click on your device. 4. Check the boxes you want to sync and apply! You can also select which groups you want to sync, or which calendars, just like your music and photos. As you can see from the screen shot, you can also sync your google contacts as well as your yahoo contacts. Who knew?